This contemporary miniature illumination was made using traditional medieval techniques. 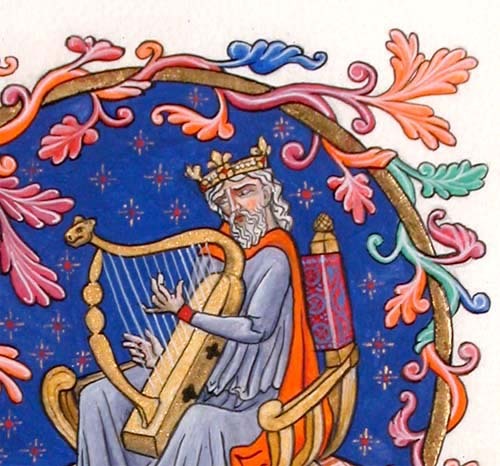 Pictured is King David as an old man, playing his Psalms. 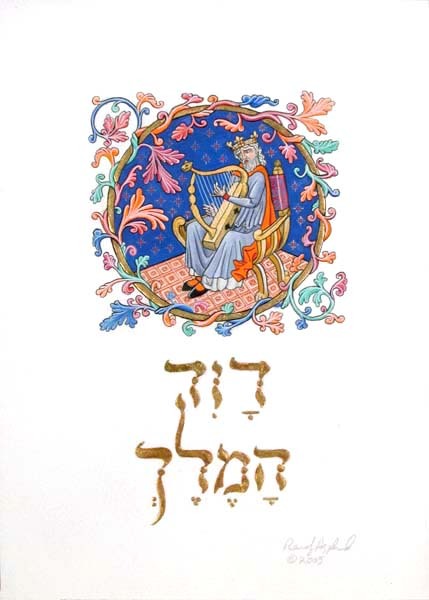 The Hebrew letters are based on medieval Hebrew calligraphy. Below is a detail enlargement. The artist mixed bronze powder into the blue background paint to create a feint shimmer. The harp is also washed in bronze to shine as gold and compliment the genuine gold of the frame border.